Carob Powder comes from finely ground, dried and toasted pods of the carob tree. 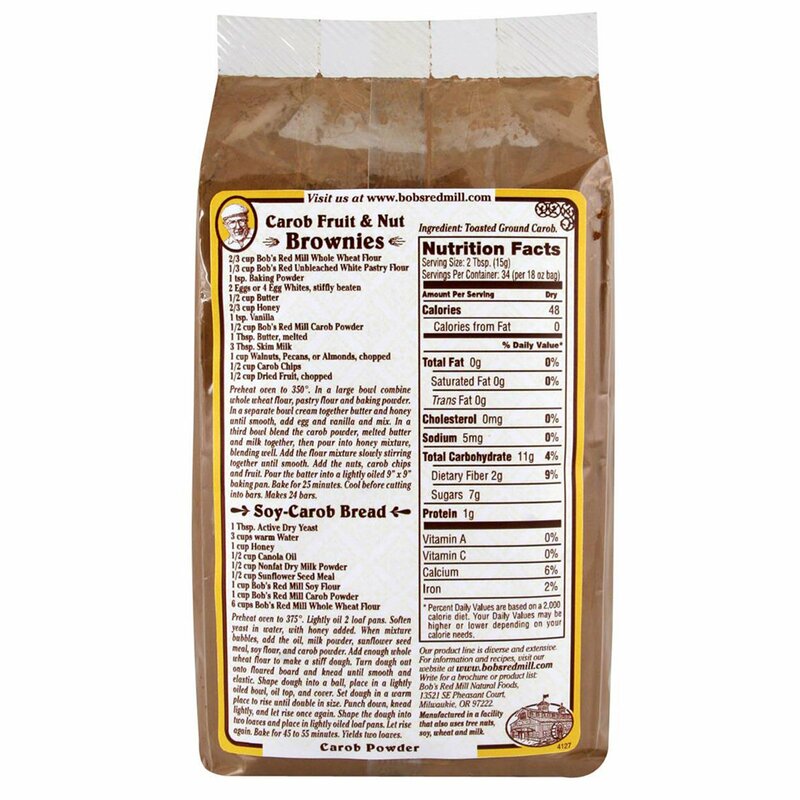 It is a healthy alternative to cocoa that's low in calories and contains no fat. 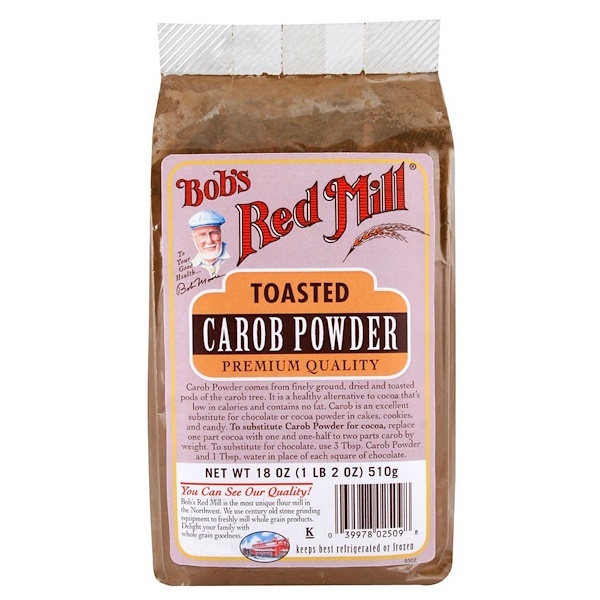 Carob is an excellent substitute for chocolate or cocoa powder in cakes, cookies, and candy. To substitute Carob Powder for cocoa, replace one part cocoa with one and one-half to two parts carob by weight. To substitute for chocolate, use 3 Tbsp. Carob Powder and 1 Tbsp water in place of each square of chocolate. Preheat oven to 350º. In a large bowl combine whole wheat flour, pastry flour and baking powder. In a separate bowl cream together butter and honey until smooth, add egg and vanilla and mix. In a third bowl blend the carob powder, melted butter and milk together, then pour into honey mixture, blending well. Add the flour mixture slowly stirring together until smooth. Add the nuts, carob chips and fruit. Pour the batter into a lightly oiled 9" x 9" baking pan. Bake for 25 minutes. Cool before cutting into bars. Makes 24 bars.